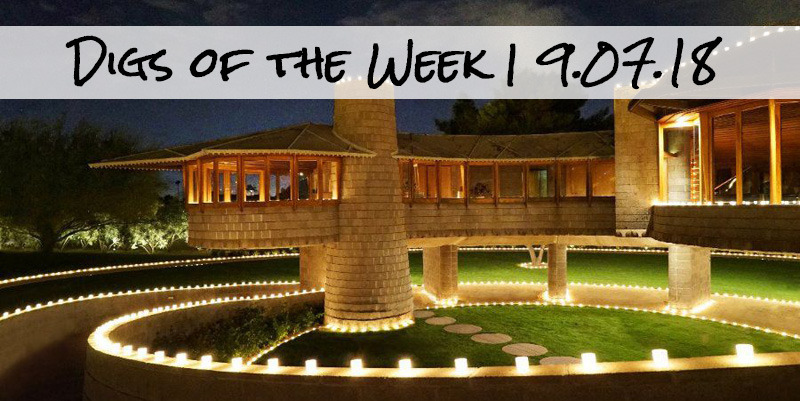 We're bringing up the end of the week with a 'Digs of the Week" chock-full of home inspiration! Hopefully, you had a fabulous short week, but over here it just felt like we squeezed 5 days into 4. With rain in the forecast all weekend long, we have a movie and board game weekend lined up and I'm excited. Hope you're just as enthused about your weekend plans! I'm headed to play bingo tonight for a friend's birthday celebration and so this modern-day version of the Golden Girls house feels appropriate to share. Wish me luck! We love a good tiny house, as you may know, and this one does not disappoint. Take a look for yourself. From tiny to a bit bigger... This Frank Llyod Wright house is for sale for nearly $13 million and has a similar design to the Guggenheim Museum. So, basically, it's amazing! If you're looking to be more productive at work (or home) you might enjoy reading about How You Organize Your Office Can Change How You Work. Are you feeling all of the fall fashion? Well, you're going to love the fall home decor trends. A few ideas here and here. Maybe you can begin to embrace autumn with a lovely fall wreath. Here are some DIYs you can knock out this weekend! Bohemian decor is all the rage and the rich colors in Lily Aldridge's home make me so happy. You can see it here.